Special Olympics Illinois is proud to announce 6 athletes will be representing the United States, as part of Special Olympics USA at the 2017 Special Olympics World Winter Games, The Games will be held March 14-25, 2017, in Graz, Ramsau and Schladming, Austria. Several of these athletes will also be competing in Galena for Winter Games. Among those is Lisa Menichino who will compete with NISRA. 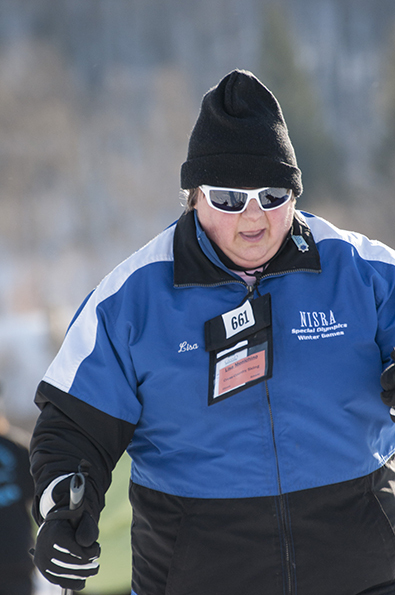 Over her 31 years involved in Special Olympics she has competed in aquatics, athletics (track and field), rhythmic gymnastics, softball and volleyball, but cross-country skiing has always held a special place in her heart. At 19 she was chosen to take part in the 1988 Summer Olympic Games in Seoul, Korea. Alongside 10 of her teammates, she competed in a basketball showcase. She was awarded Athlete of the Month in 2008 and Athlete of the Year in 2012. 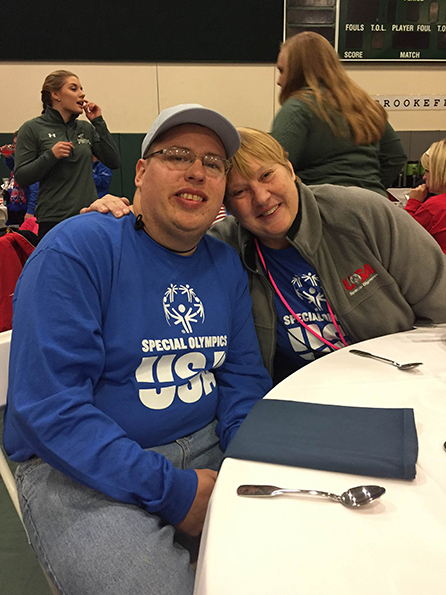 Menichino says friendship and camaraderie are the best parts about being involved in Special Olympics. Also competing in Galena this weekend is James Wireman, 30, of Washington, Illinois who has mastered softball and basketball throughout his 18 years in Special Olympics. He joins the national team to compete in snowshoeing. Wireman graduated from Pekin Community High School in 2007 and currently works at Denhart Baking Company and Restaurant as a dishwasher. Steven McVoy, from Arlington Heights, is a World Games veteran. Over nearly 3 decades of involvement in Special Olympics he has competed in a number of sports including softball, powerlifting and golf, but alpine skiing is his specialty. 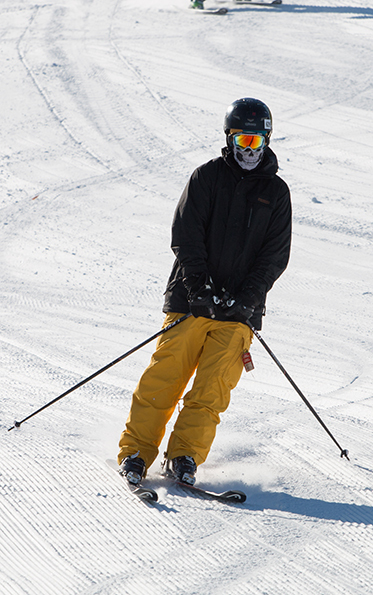 He has been skiing since he was eight years old and laughs recalling his share of wipeouts. He flew to Oregon this past June for an advanced ski invitational with the National Sports Center for the Disabled. 2017 marks McVoy’s second trip to the Special Olympics World Games. He previously competed in Alpine Skiing in the 2005 Special Olympics Winter World Games in Japan. McVoy is excited to compete on the international level again. Danielle Lanxon (snowshoeing), Jamiah Shepard (snowshoeing), and Thomas Shimoda II (speed skating) will also proudly represent the state of Illinois on the international stage. Additionally, Special Olympics Illinois will be sending two coaches, one medical staff member, and two delegates: Barb Needham (speed skating coach), Maggie Rutenbeck (head snowshoeing coach), Greg Eberle (SO USA Medical Team), Carolyn Klocek (snowboarding sport manager) and Alexandra McMillin (communications). 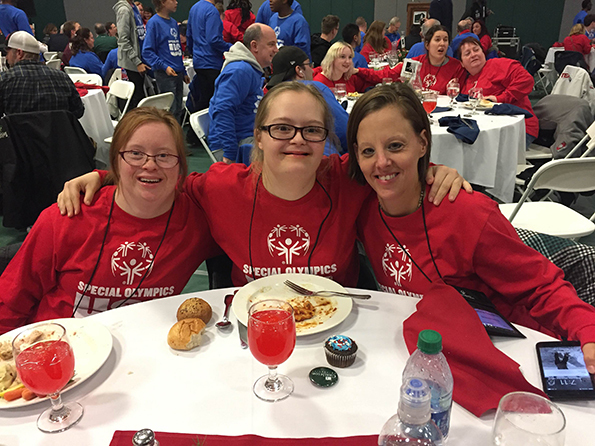 The nominated Illinois athletes, coaches and delegates attended a Special Olympics USA training camp in Killington, Vt., last December. The alpine and cross-country skiers and snowshoers took to Killington Mountain and trained with their teammates and coaches from across the country. Special Olympics USA is the national team that represents the United States at the Special Olympics World Summer and Winter Games. The 210-member delegation is comprised of 150 athletes, 40 coaches and approximately 20 delegation members who support team operations. Learn more about the team online at www.specialolympicsusa.org and show your support for the delegates on social media using the hashtag #Cheer4USA.